Hi loves! How are you today? I feel like it is Tuesday because I had my 2nd day of work today but it actually is almost weekend again, yay! Now for today's post. 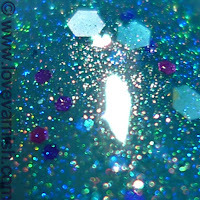 When I received my package from Stephanie with all those gorgeous WingDust Collections polishes, I thought it was her second package she sent as we thought the first one got lost. Guess what happened just before Christmas? The actual second package arrives! How's that for an awesome Christmas gift? Apparently it just took loooooooooooong to arrive and both packages made it safe! Now I have some doubles because the second batch contained bottles I already had, BUT we will find a worthy cause for that (yeah that's you, I'll be doing another giveaway soon! Maybe at 1500 followers ;-)?). This is going to be a review of the 3 out of 6 polishes I have for you to review so sit back and enjoy! For these swatches I used Essence Studio Nails 24/7 Nail Base & Essence Better Than Gel Top Sealer. All colors are build up on their own stating the amount of coats per swatch. First up is WingDust Collections After the Rain. Stephanie describes it as: "It's a deep teal jelly base loaded with linear holo, turquoise, fuchsia, blue, and iridescent glitters." The loaded with linear holo part is very true! It is always hard to catch a holographic effect on camera, especially without sunlight, but trust me that what you see is more awesome in real life. I used 3 coats for this one and it applied easy because of the jelly base, not draggy or anything. 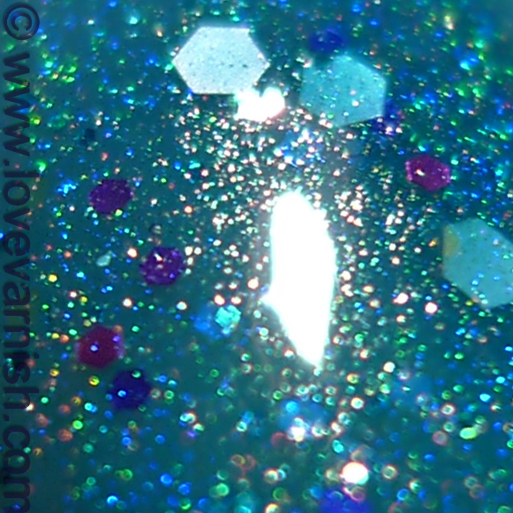 Drying time in between is necessary but I generally find that with all glitter polishes. The next polish is WingDust Collections Neon Black. 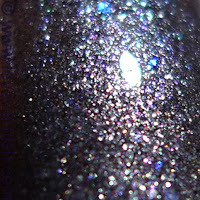 The description by Stephanie: "This polish is at first glance, just another carbon grey paint. It's as your turn to look away that something extra catches your eye. It's subtle violet shimmer and iridescent multi-sized, blue particles add a certain amount of mystery and flash to this steely grey hue.". The shade of gunmetal grey is already very pretty to start with, but what I really liked about this one are the popping glitters. Sometimes you barely see them, sometimes you see a few blue flashes. 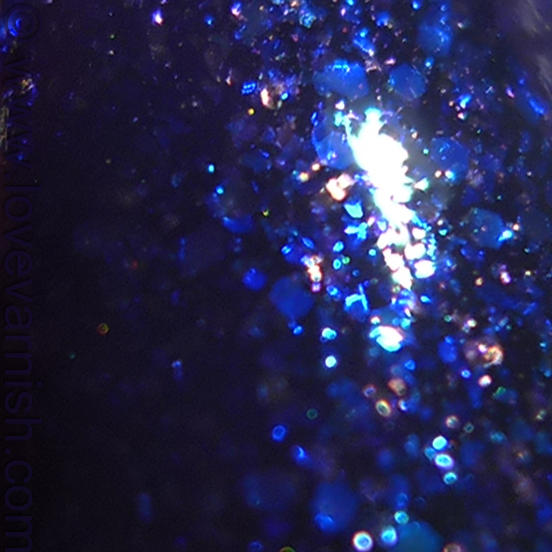 The violet shimmer casts some sort of duochrome effect over the polish. I used 3 coats for this one, it seemed opaque with 2 already but that 3rd added some more depth to it. In my pictures it seems a bit gritty or textured which it is before topcoat, but it felt smooth as glass with topcoat! Application was perfect, it spreads easy without pooling and isn't patchy at all. 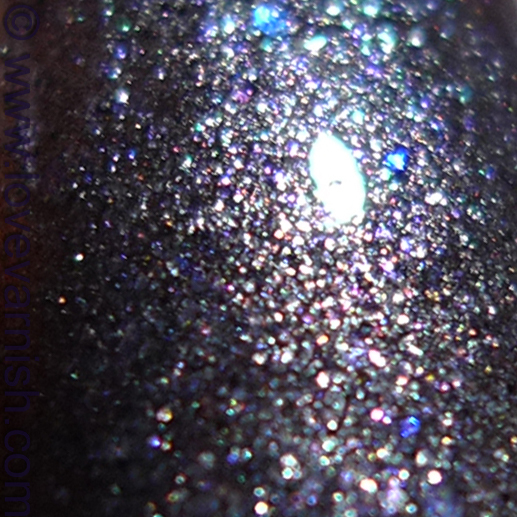 Now, for the last one, my absolute FAVORITE out of these 3 and maybe my favorite WingDust Collections polish so far, is WingDust Collections Night Fury. At first I didn't know this was called Night Fury because it was unlabeled, but I fell head over heels for this one! Something about the dark, dusty base and the hidden yet not hidden at all glitter in it that is just. So. GORGEOUS! 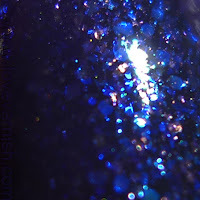 Again the description by Stephanie: "This polish is a deep purple/blue jelly polish loaded with blue and purple iridescent glitters and shimmers.". I have nothing to add to that. Just look at it and love it ♥. 3 coats of easy application, first one slightly patchy but that covers up easily at the other 2. You can find WingDust Collections through her Etsy shop. Stephanie also has a Facebook page. Her polishes are $8,50 (shift series are $10). I hope you enjoyed my review and please let me know what your favorite polish is! Wow!! These are stunning! I don't think I can pick a favorite! amazing swatches!!! Night Fury is so amazing, I totally agree! The first and third are gorgeous. Don't know about the grey. I actually LOVE the first one. You always do such a wonderful job... so glad you got 2 packages... even if it WAs an accident :)! These are all so pretty! I really love the first one! Thanks, it is gooorrrgeous indeed :). Thanks Amanda! Stephanie did a great job with these :). Thanks Alexis! It might become a 2013 favorite I think! The grey was pretty hard top capture, because of the "texture". It was smooth and glossy but it wouldn't show. Believe me it really is stunning! Aww thanks so much Stephanie! I just enjoy your lovely polishes :). And the 2nd package was such an awesome surprise :D.
Thanks Angie! Yes it is so dreamy and the depth is great :). Thank you Ana, I do too :). Neon Black and Night Fury. Which one to choose? I've never heard of these polishes but, well, they're amazing...even if they're filled in with glitters!